The number of tradespeople visiting our shows – PlumbExpo, Toolfair and Pro Builder Live – at the end of January was up a massive 20% on last year’s exhibitions at the same venue. More than 4,000 visitors flocked to London’s Alexandra Palace over the two days of the shows, which are co-located with Elex, as the 2019 schedule of events got off to a flying start. Show highlights included product launches, exclusive show deals, fantastic product demos, a bumper giveaway from the Milwaukee Superdraw and a packed PlumbExpo seminar programme featuring Gas Safe, CIPHE and many more. 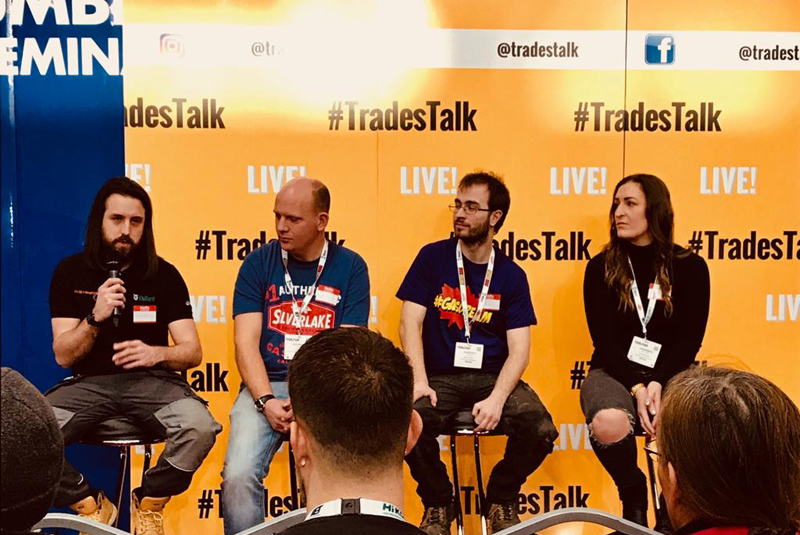 There was also a live version of the #TradesTalk Twitter chat, featuring Ian “IRB Heating” Briggs and Rob “Dr Boilers” Playford on a panel of four tradespeople talking about their businesses and taking questions from the audience. We’d like to take this opportunity to thank everyone who helped to make the London shows so successful this year.